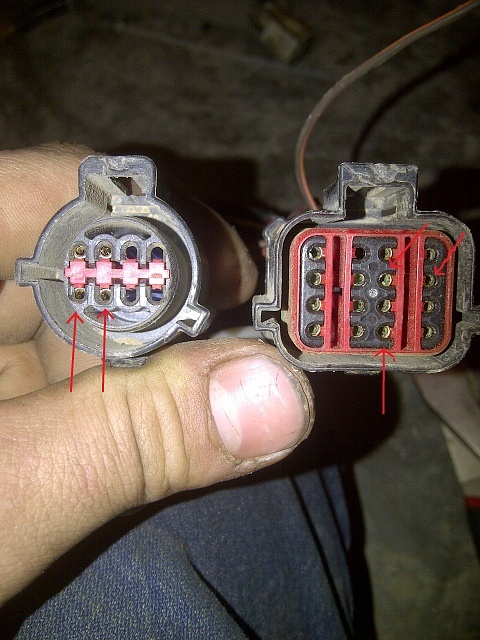 need a wiring Diagram for the Plug, The plug is from a 96' E4OD. Put a 4r70w in its place and have some wires left over! I know the very bottom arrow is for "coast clutch" but my 4r70w doesn't have that. This is what you are referring too right? They fall into the other diagrams I showed you. Look at the connector numbers on the diagrams. god bless you! Where are you getting all these diagrams from!? I went to ford and they couldn't find ANTHING! Yeah Ford doesn't keep stuff like that around for long. I have a copy of ALLDATA I got from my old college. Huge database on every consumer produced vehicle with all the diagrams I could need. Quick Reply: Wiring Diagram for E4OD?